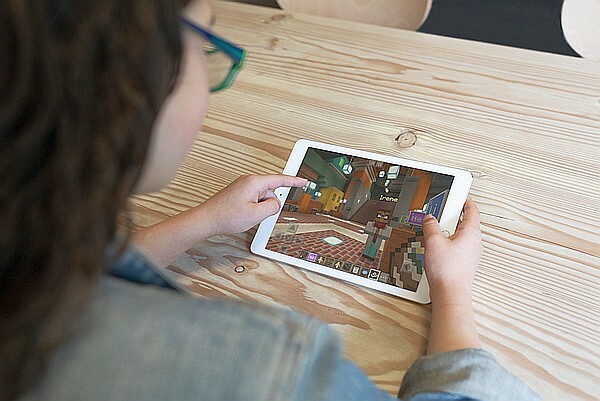 The Minecraft: Education Edition community now consists of over 35 million licensed teachers and students in 115 countries, so it is not surprising that Microsoft is finally bringing this game to the iPad. Schools licensed through Microsoft 365 for Education already have access to this title and general availability will follow next month. More than just a game, Microsoft's Minecraft is also being used as a tool for education. Minecraft: Education Edition has been available for Windows devices since November 2016 and has gathered an impressive community of 35 million licensed teachers and students in 115 countries since then. Now, the time has come for this game/education tool to reach the Apple iPad tablets as well. According to the Head of Education Technology for PaRK International School, Kyriakos Koursaris, "Minecraft: Education Edition on iPad unlocks new and intuitive ways of collaborating and sharing and has revolutionized the way our students and teachers explore curriculum and projects." Those who are affiliated with a school that is licensed through Microsoft 365 for Education (A3 or A5) already have access to Minecraft: Education Edition for iPad. The other iPad users will be able to download the app starting next month (anyone can try it, but a license must be purchased after 25 logins for teachers and 10 logins for students). More details can be found on this page.